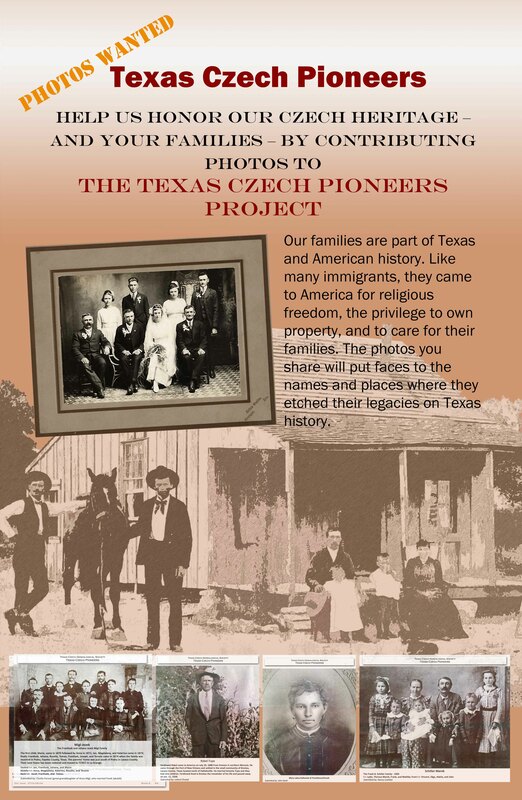 The Texas Czech Pioneers project was launched in 2013 and pictorially portrays Texas Czech immigrants and their families. Its beginnings started as “Early Texas Czech Settlers” as a portable display at TCGS events. Today the display has over 350 photos and is located in the Pioneer Room in Temple, Texas. We continue to accept copies of your original photos and would like to honor your Czech immigrants and families. Photos are accepted throughout the year and go on display on Dec. 1st of each year in conjunction with the Christmas Open House.